Cell Phones & Accessorie. Home Security & CCTV. 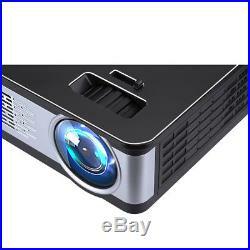 3300Lumen Mini HD 1080P Video Projector LED Home Movie Cinema HDMI VGA USB AV SD. 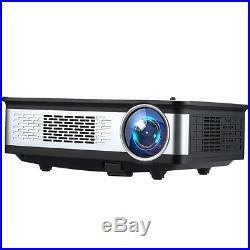 Z720 Multimedia Projector Support 1080P With. HDMI VGA USB2 AV. Interfaces For Home Cinema Game Outdoor Movie. Durable and Fashionable Design. Z720 adopts modern visual design with exquisite metal shell and silver edging. Which is durable and high-quality. Your needs for modern visual experience. And it could even be a fashionable and trendy decoration for your home. For creating a private home theater, it must be your best choice! Incredible HD Resolution and High Brightness. 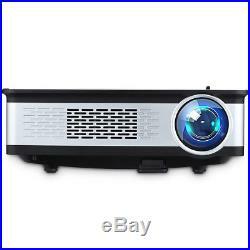 With a native resolution of 1280768 as well as 3300 lumens brightness. Z720 presents amazing lifelike image which makes you feel like you are personally in the scene. 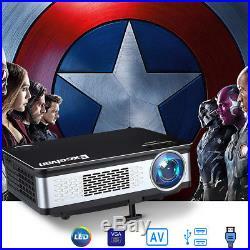 In addition, it supports full HD resolution of 1080p, which could provide you a stunning visual experience. That you have experienced in cinema, and makes you feel that you have brought a cinema to your home! Adjustable Screen Size and Multiple Projection Modes. The screen size could be easily adjusted from 30″-145″ within the projection distance from 0.9 meters to 4 meters. 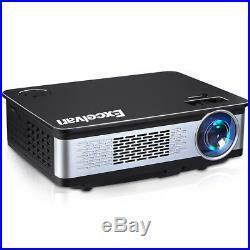 The best projection size 120″ could free you from the small size 30″TV, and offer you a big screen experience. Furthermore, with multiple projection modes of front, rear and ceiling projection. 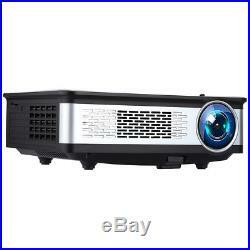 Z720 could easily meet your needs of different projection angles. 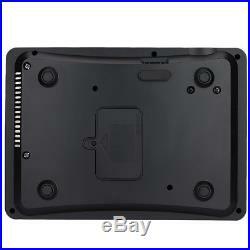 Please note that the four mounting holes are covered by silicone plug on the bottom. Rich Interfaces for Different Devices. Equipped with multiple interfaces including HDMI, VGA, USB, AV, SD card ports. (HDMI Cable, VGA Cable are included in the package as a gift). Z720 can be easily connected to your devices like computer, laptop, smartphone, tablet, Udisk, digital camera, game console etc. 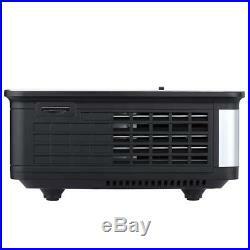 It is perfect for gaming, watching sports, camping, partying and outdoor movie night. 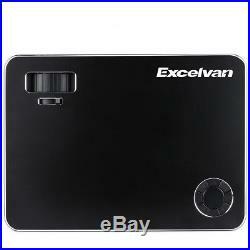 5.8 Single LCD Panel Display Technology. (native resolution) WXGA/1280768 Pixels. 150 ANSI Lumens (3300 Lumens). Front, Rear, Suspened Ceiling Projection. 100W Power LED Lamp. More than 20,000Hrs. 1x YPBPr Component Video(3x RCA). Bulit-in 1 x 5-Watt Speaker, Variable Audio-Out. VGA Cable, Power Cable, AV Cable, HDMI Cable. 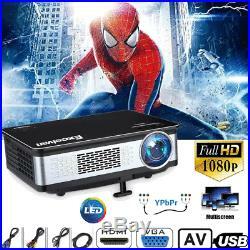 Movie format: MPG/AV/TS/MOV/MKV/DAT/MP4/VOB Max. Supported resolution of 1080P. 30.8×22.4×10.8cm. Welcome to our store! High product quality, reasonable prices, excellent customer service and a reliable credit standing is our tenet. We are not responsible for any wrong or undeliverable addresses. We stand behind every product we sell. Your better comments will be an encouragement for us to offer the better quality and the better service in future. We shall try our best to solve your problem to your satisfaction. 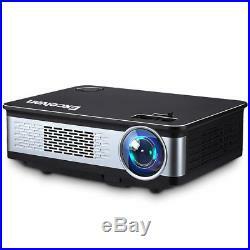 The item “3300Lumen Mini HD 1080P Video Projector LED Home Movie Cinema HDMI VGA USB AV SD” is in sale since Monday, November 07, 2016. 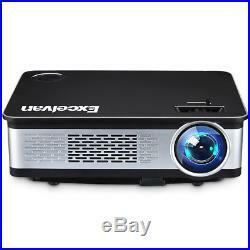 This item is in the category “Sound & Vision\DVD, Blu-ray & Home Cinema\Home Cinema Projectors”. The seller is “happywhile” and is located in SOUTHALL. This item can be shipped to all countries in Europe.